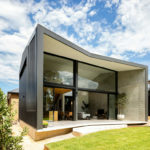 Luigi Rosselli Architects have designed a contemporary rear extension to this early 20th century brick worksman cottage in Sydney, Australia. 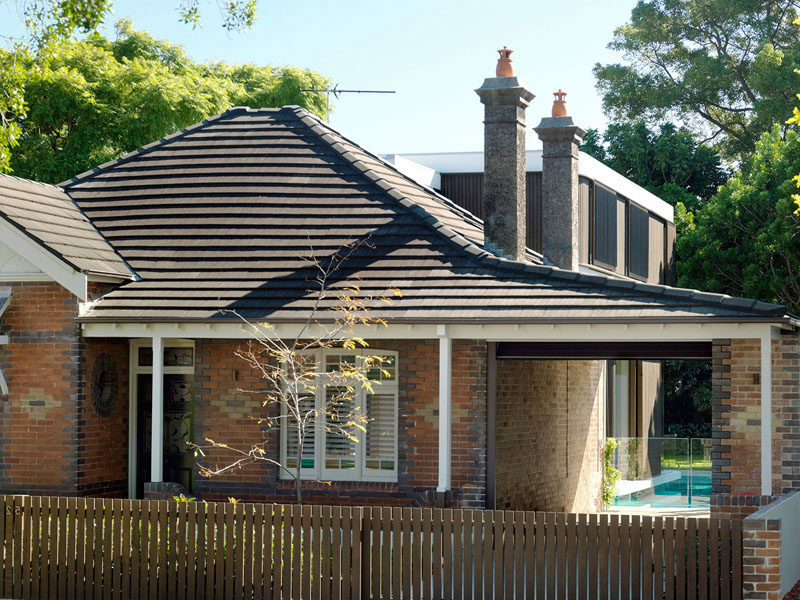 A verandah to the side of the house was extended to become a carport, and beyond, a swimming pool and additional living spaces were created. 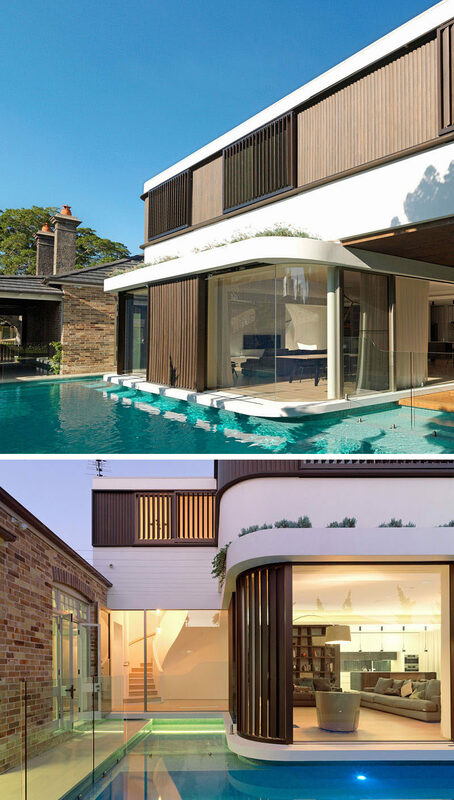 The two storey contemporary extension has a wraparound swimming pool, and allows the water to be the main focus that holds the two distinct sections of the house together. 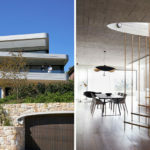 The extension has a living, dining and kitchen area on the main floor that’s open to the backyard, while the additional bedrooms upstairs are closed off with manually controlled shutters for privacy. 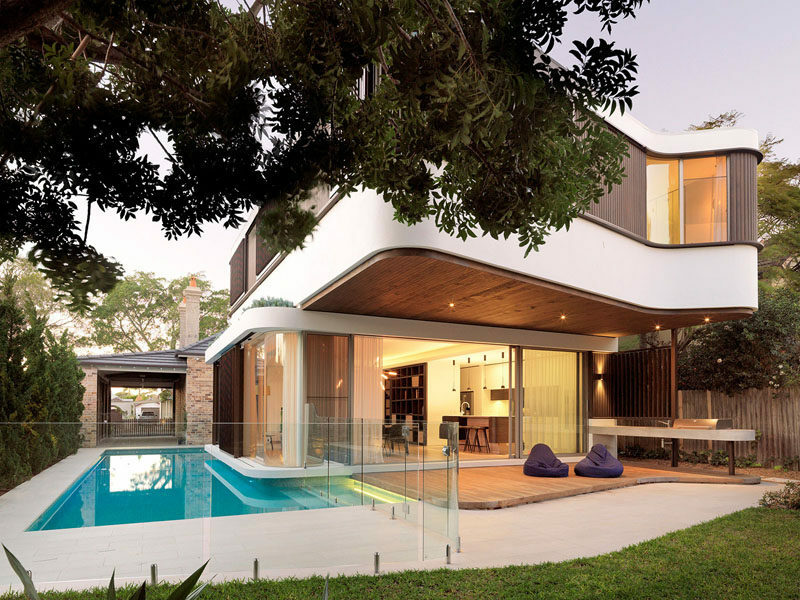 The upper floor cantilevers towards the backyard, allowing for the overhang to provide shade for the lower floor. 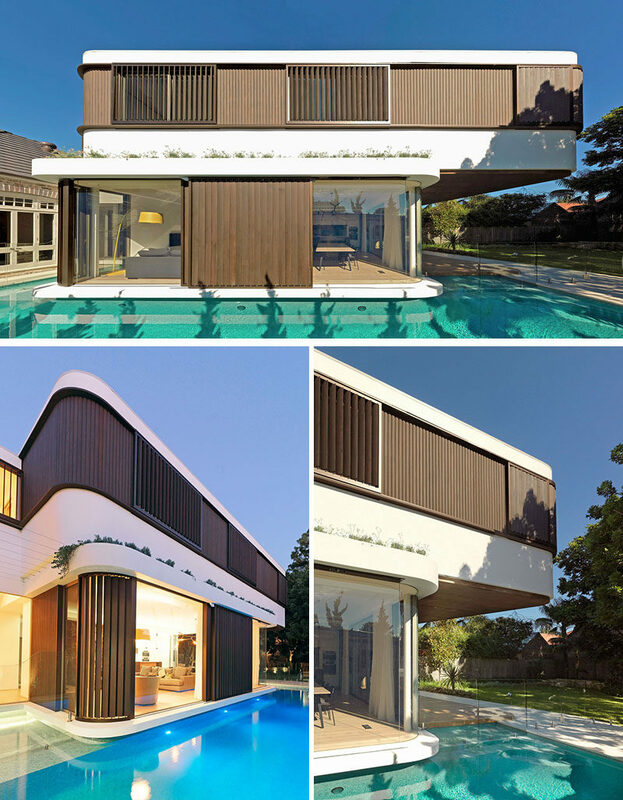 Under the cantilever, there’s a small Blackbutt wood deck with a ceiling covered in Western Red Cedar. 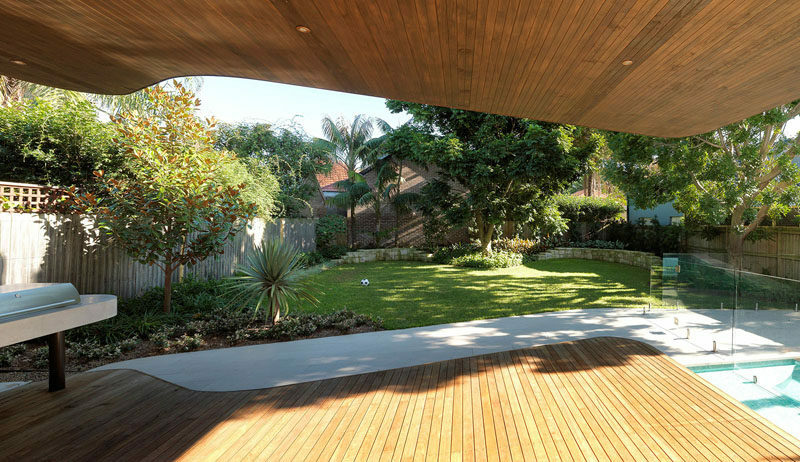 The deck also has a bbq area off to the side, and opens up to the grassy backyard. 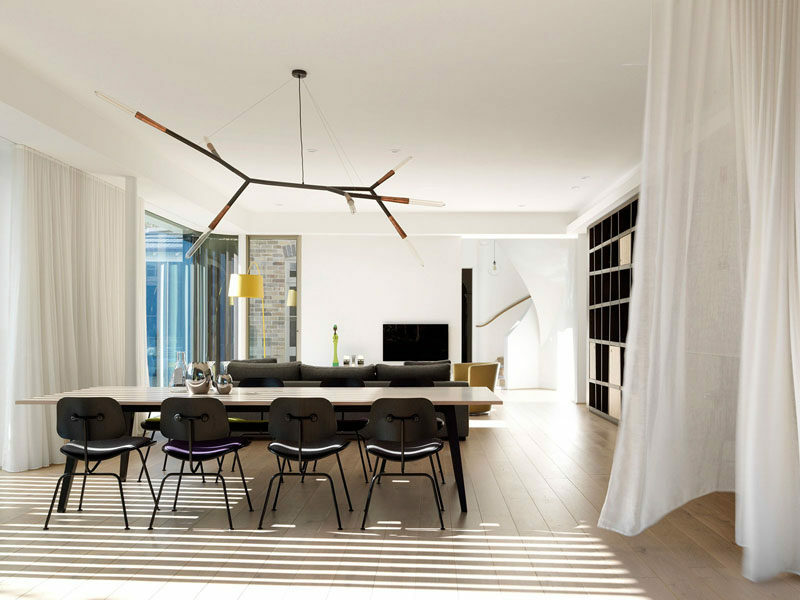 Inside the extension, there’s a large open plan interior, with the living room looking out onto the pool, while the dining area is anchored in the space by a custom made light. Large ‘S’ wave sheer curtains line the walls to create an open and airy feeling. 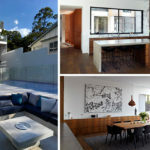 At the other end of the room is the wood and white kitchen, with a toughened glass window that doubles as a backsplash. 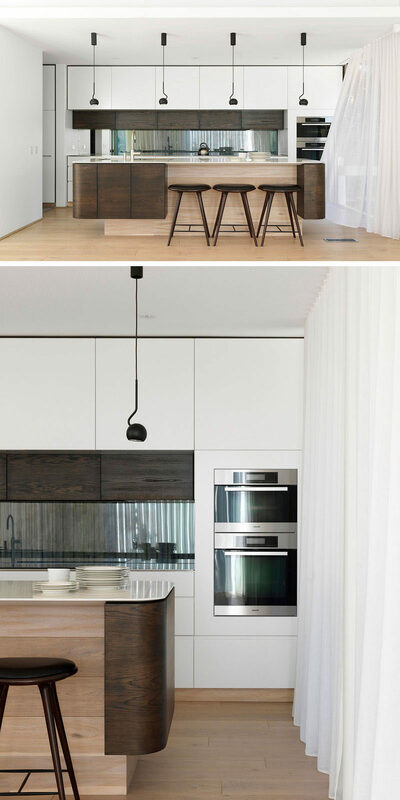 The design of the kitchen island emulates the cantilevered first floor additions seen outside. 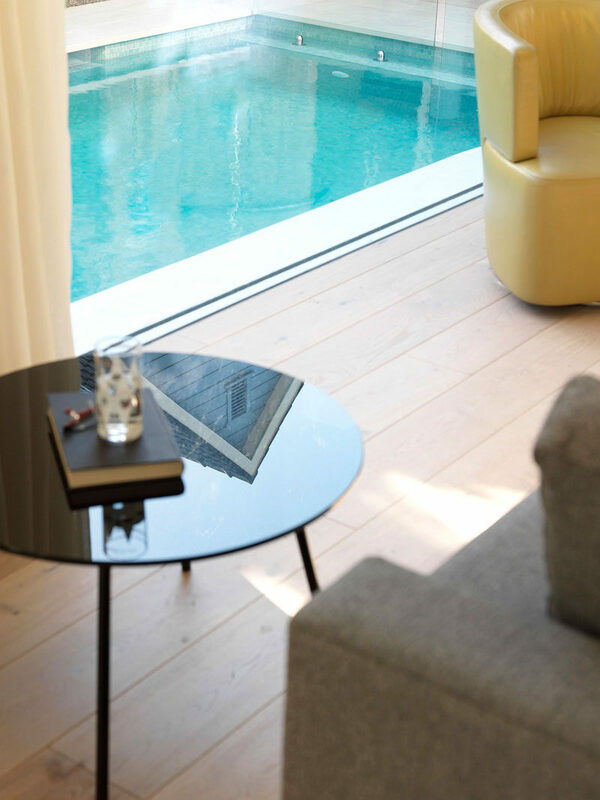 Engineered oak flooring sits flush with the window frames and the recessed window frames provide an unobstructed view of the pool. In the pool, glass mosaic tiles give a natural shimmer to the water. 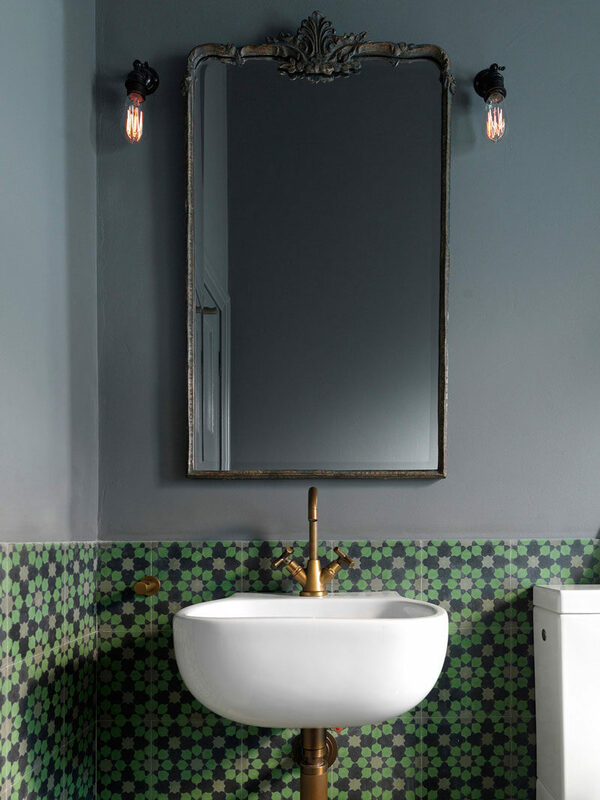 In the bathroom, bronze accents and grey walls have been paired with colorful patterned Encaustic tiles from Europe. 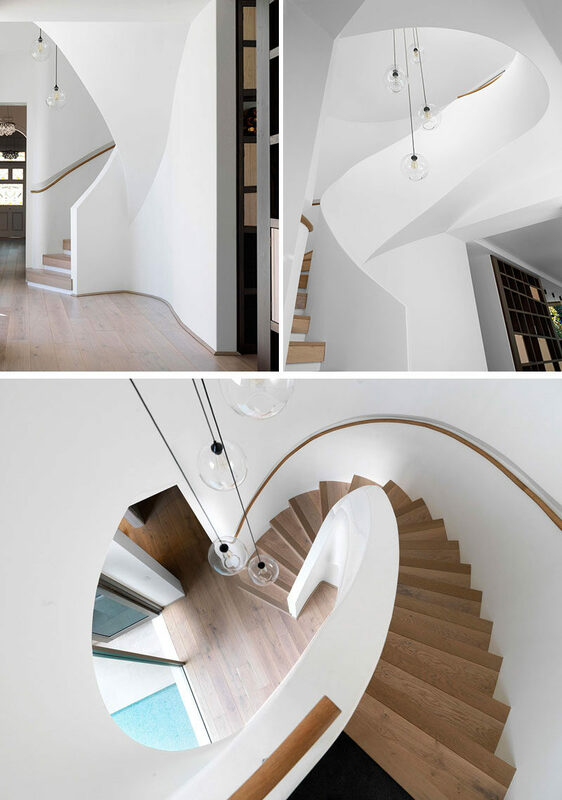 A new white and wood spiral staircase links the old house to the new extension. White plaster has been finished with an enamel paint to protect it from children’s fingerprints, and off to the side of the stairs is a wine storage wall.